In 2017, the City of Los Angeles, Rebuild by Design, American Institute for Architects LA Chapter, US Green Building Council - LA, Structural Engineers Association of Southern California, Museum of Architecture+Design, and The Now Institute at UCLA are partnering to start a paradigm shift with the creation of Building Forward LA. The goal of Building Forward LA is to use stakeholder and expert engagement to discover the next opportunities to realize an even better City of Los Angeles by how we design and construct buildings in our great city. The coming decades demand higher building performance. Builders need to discover creative problem-solving methods, import successful innovations from around the world, and use advancing technologies and modeling systems to their fullest advantage. With some of the world’s most highly qualified designers and engineers, Los Angeles is well-positioned to be the leader in 21st century building practices. But our outdated regulatory environment is deterring advancements in higher-performance building practices. The city needs to reexamine its approach to building services to ensure a regulatory environment that supports a vision of L.A. as a safer, greener, globally elite city. 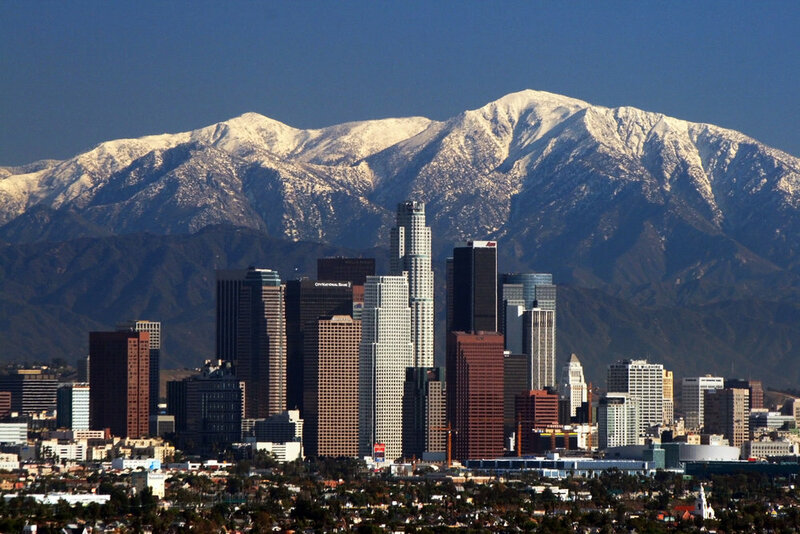 As the Mayor’s Sustainable City pLAn recognizes, the city of L.A. has many challenges to meet in the coming decades. L.A. must become better prepared for geologic and climate disruptions including earthquakes, wildfires, heatwaves, and rising sea levels. It needs to take proactive measures for water conservation, energy efficiency, air quality, and emissions. (Buildings are currently the largest consumers of electricity in the city, and a major source of greenhouse gas emissions, the pLAn notes.) With an estimated half-million new residents in the city in the next twenty years, the already-swollen need for cost- and space-efficient housing will become more urgent. Buildings can play a major role in addressing these concerns. Designers and engineers have made great leaps in creating more cost-effective, space-efficient housing, and energy-efficient, low-emissions, emergency-prepared buildings. Empowered by more dynamic technologies and increasingly interconnected global expertise, innovation and discovery of higher-performance building techniques promises to accelerate more quickly in the next century than ever before. But our regulatory systems are out of sync with the goals of the city. At a time when higher performance is most pressing, low-performance building methods are cast in stone with prescriptive building measures, while slow, bureaucratic processes discourage designers from proposing higher-performance solutions. There is a problem when the city views box-checking as more important than problem-solving. While the city states goals of greater sustainability and energy-efficiency, building regulations often actively get in the way of implementation of even more sustainable, energy-efficient building methods than the code requires. Builders can’t help L.A. become a leading 21st century city if bound to 20th century practices. This has consequences – for everyone. Complicated and time-consuming bureaucratic procedures dissuade development, an economic stimulus for the city worth $7 billion a year, and raise costs, which are passed on to consumers. Permitting processes, even for low-risk projects like single-family residences, are so complicated that an entire industry of consultants and expediters has arisen simply to navigate the process. The most serious consequence is the health of the city itself. Los Angeles is America’s #1 smoggiest city, on a fault line, in a desert, bordering the ocean: the city faces challenging environmental issues. We need building regulations that promote the safest, highest-performance buildings possible. Los Angeles urgently needs to reassess its regulatory processes if it is to be a global leader in sustainable development. Here, we do not suggest specific strategies for implementation, but offer general concepts and references to trends in global regulatory reform—progressive policies that encourage a future-oriented, performance-forward building industry.